The floral designers at Flowerland are committed to creating special flower arrangements to suit your specific needs. We also have a broad assortment of plants and gift baskets for every occasion. 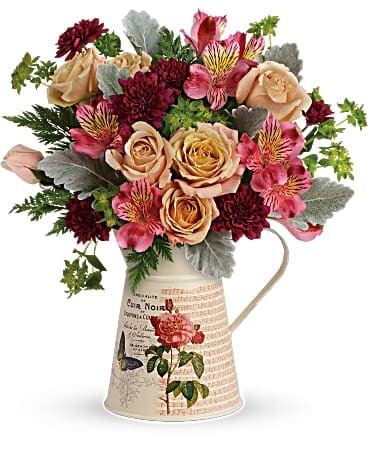 Each of our bouquets is professionally arranged in a reusable vase using only fresh flowers in Bartlesville. To add a special touch, we also carefully hand-deliver each arrangement directly to your recipient. When you shop at Flowerland, your order will be handled with the utmost care by one of the foremost florists in Bartlesville OK. Some sites send flowers from a warehouse, uncut and unarranged in a plain brown box. When you order flowers from Flowerland, you can be confident that you’re receiving a professionally arranged, hand-delivered gift. 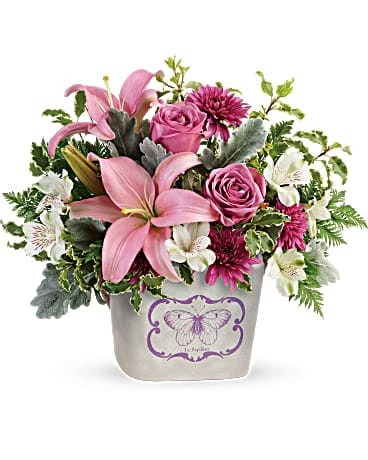 We’re one of the most trusted florists in Bartlesville and our staff works hard to make sure every arrangement that goes out the door is the best it can be. Our customers are our first priority whether you’re purchasing flowers in Bartlesville or for delivery across the country. Our shop serves the following areas in Oklahoma: Bartlesville and Dewey. 74006, 74003, 74006, 74004, 74029, 74005. *Our shop is open from 8:00 a.m. to 5:30 p.m., Monday through Friday and from 9:00 a.m.to 2:00 p.m. on Saturday. We are closed on Sundays. To help assure on-time delivery during the busy holiday season, place your order at least 1 day prior to the following major holidays: Thanksgiving Day, Christmas Day, New Year's Day, Valentine's Day, Easter, Administrative Professionals Week, Mother's Day, Memorial Day, Father's Day, Independence Day and Labor Day. Our shop will always be closed on the following holidays: Thanksgiving Day, Christmas Day, New Year’s Day, Easter, Mother’s Day, Memorial Day, Father’s Day, Independence Day and Labor Day. If you have any questions or need more information, please contact call us directly at (800)833-9874. We're always here to serve you and make your flower-sending experience a pleasure.